The current Work In Progress is almost completed through the first draft stage. I don’t have a title yet. Here’s the set-up. Roger and Suzanne, along with Robert and Bruce, are taking a long overdue vacation tour though the Galapagos Islands. 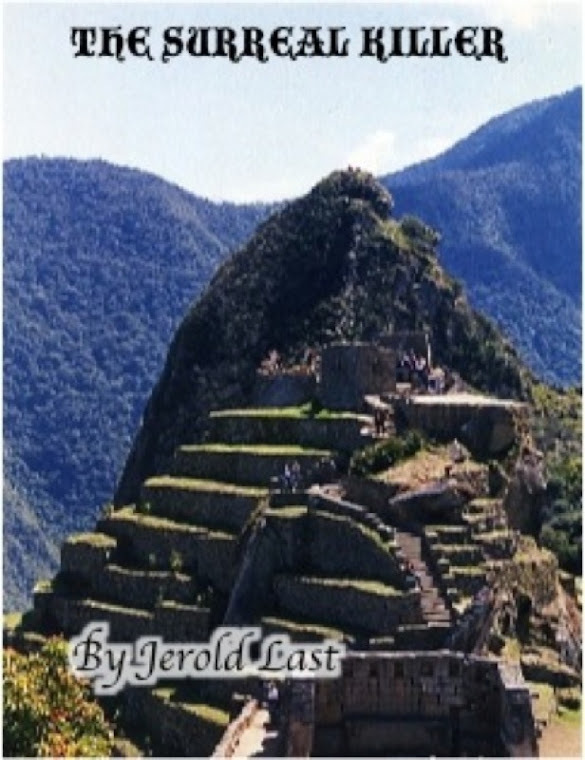 This is another fascinating piece of South America Elaine and I have visited that I wanted to share with my readers. On the second day of the tour, as their Zodiac raft motors towards one of the islands Suzanne finds a dead body floating in the ocean just off the beach. And we’re into another South American mystery novel starring my favorite couple of detectives. And there to help are Eduardo Gomez, his wife Sophia who we'll meet for the first time, and the mysterious General Vincente Aleman. My first tentative title was “The Body in the Bay”. In retrospect, this wasn’t a particularly good choice. It’s uninspired. It lends itself to confusion with an earlier book in the series, “The Body in the Bed”. It really isn’t particularly descriptive of the contents, especially the exotic locale of the Galapagos Islands. I thought about a few obvious puns as titles. “The Whore and the Tortoise” was one. It’s a bad pun and not descriptive of the contents. There were several others of this ilk considered. They were either not descriptive or told more than they should about one or another twist in the story. The tentative title at present is a riff on “The Origin of Species”. I’m thinking of “The Origin of Murder”. Does anyone like or hate this as a title? Any and all suggestions are welcomed! Like all of my novels I had a pretty good idea of the beginning of the story and the broad outlines of the plot before beginning to write. I also had Elaine’s journal from our trip to Ecuador and the Galapagos Islands several years ago and we had kept a wonderful coffee table book from then of photos entitled “Galapagos, The Lost Paradise” by Peter Salwen. The photos of the geology, the flora, the fauna, and the ocean inspired Roger and Suzanne’s sightseeing on the one island we hadn’t visited that crept into the novel for reasons of plot development. Also like all my novels, the story took on a life of its own. Some of the twists and turns the plot takes were as much of a surprise to me as I hope they are to the readers of this novel. I have high hopes that a few of the characters that survive this book will be back in other Roger and Suzanne stories to come. I knew whodunit at the start of the book, but that changed as the story evolved. I knew the motive when I started, and that survived the creative process. The original idea was going to be similar in set-up to Agatha Christie’s “The Orient Express”, where detective Hercule Poirot solves a murder on a fast moving train. None of the characters could leave the scene of the crime before it was solved. That turned out to be too limiting for the story I wanted to tell, so the hard part was coordinating everybody’s movements so they could be where they needed to be at the specific times they had to be there. That required some fancy, and a bit complicated, calculations since neither the Tardis nor Scotty and his tractor beam were available to suspend the laws of physics. Well, it’s probably time to do some additional writing and some editing so I can get this book to Amazon some time early next year. Be patient, I think you’ll enjoy this novel a lot!